If you'd like to track your net worth learn about which template to choose. Choose the Net Worth Tracker template. 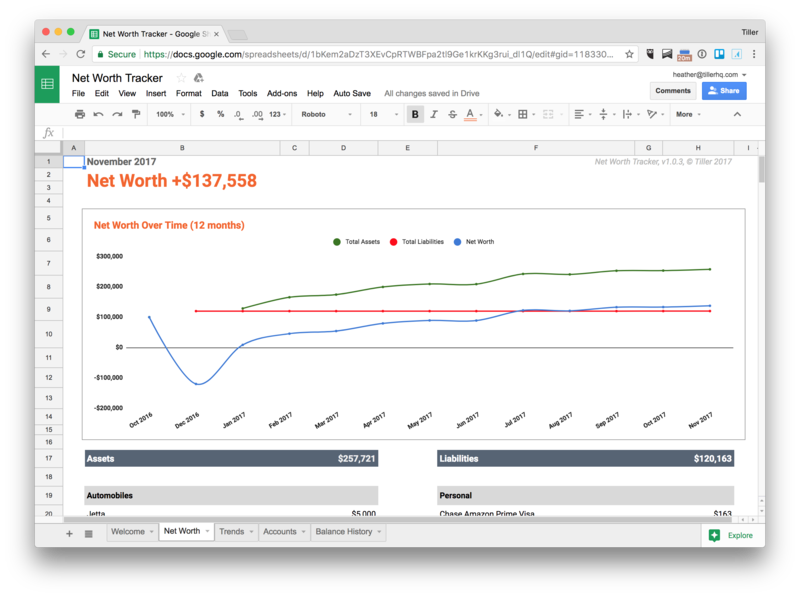 Quickly and easily visualize your net worth with this easy tracker template. Manually add other assets and liabilities. Option to auto save manual balance data. Net worth graphed over time. Net worth comparison across a custom time period.